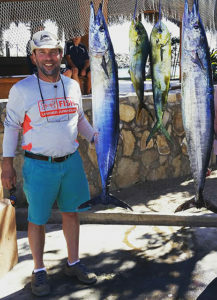 Striped marlin continue at the Finger Bank as the yellowtail bite settles in along Baja Norte Pacific Coast. 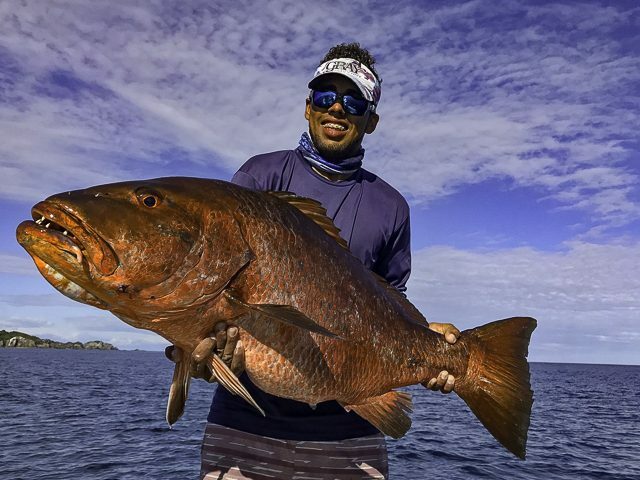 On the Sea of Cortez side, BIG grouper are in the BOLA, jacks are in sight of the Malecon in Loreto and dorado are being caught at East Cape when the wind takes a day off. Pinch me or is it really only January? 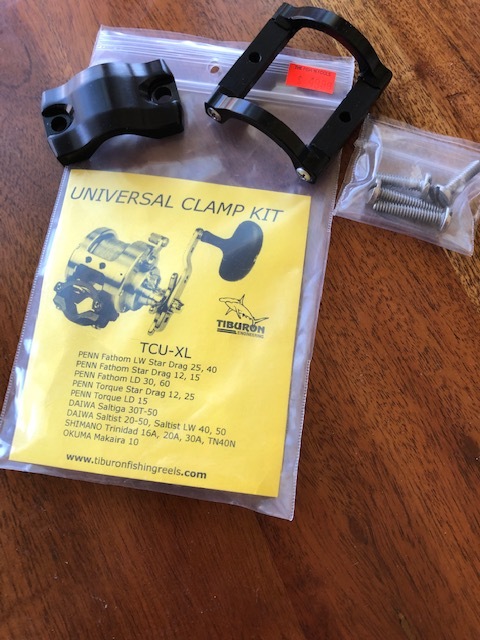 Some divers in Hawaii are may soon need a larger boat. A great white shark, named “Deep Blue,” was filmed recently in a rare sighting off the coast of Oahu, swimming right up to some divers. The 50-year-old beast is estimated to be 20-feet long and is believed to be the largest on record. She is seen gliding through the water with her massive fins, flashing her razor-sharp teeth for the camera. 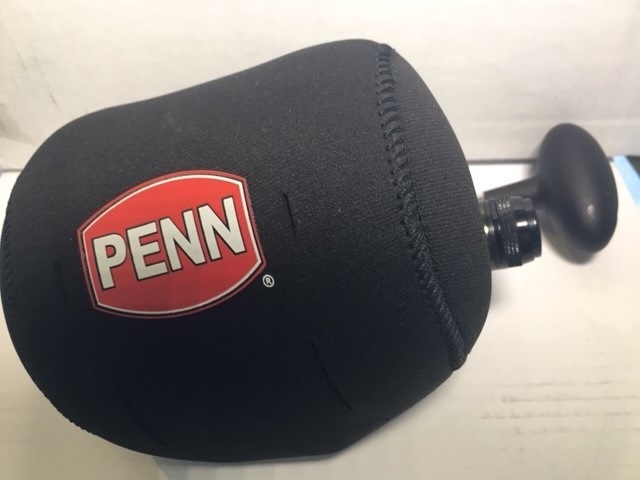 Sand bass and sculpin continue to show and you guessed it, the leadhead and squid combo along with pink or red plastics are working best. Halibut have been on a bite for about a week now in the hard-bottom area. There are small numbers of yellowtail and bonito at North Island. The yellows are deep along the weather-side of the ridge running from Pukey down to the Key Hole. Yoyo iron has accounted for a few yellows in the 10- to 15-pound class the past couple of days. The Malihini got a school to come up in a chum circle, but they also had a herd of sea lions come rushing in and put an end to any sort of yellowtail bite. 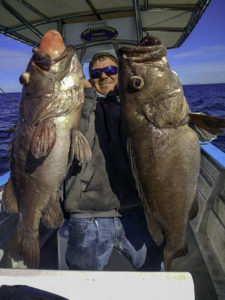 Other than this, it is all about rockfish; the areas NE of Pukey and the Lower 9 are both seeing some nice reds along with whitefish, a few lingcod and other assorted red rockfish…fishdope.com. Weather this morning was excellent. There was a big wide-spaced swell running, but the sea surface was dead calm and glassy. 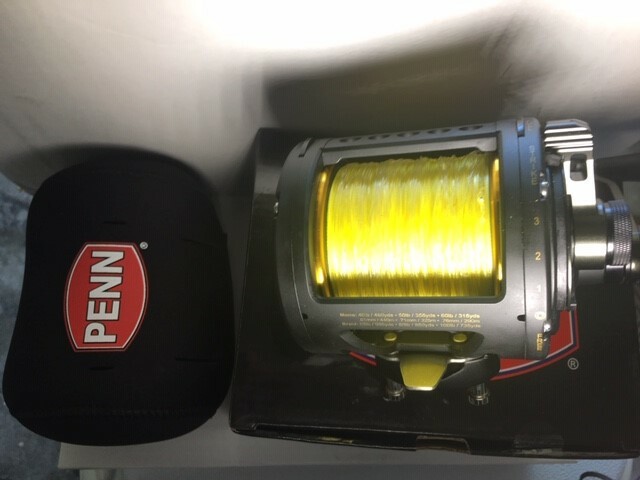 Early reports coming in had 15- to 25-pound yellows biting “pretty good” on heavy yoyo iron on the High Spot. 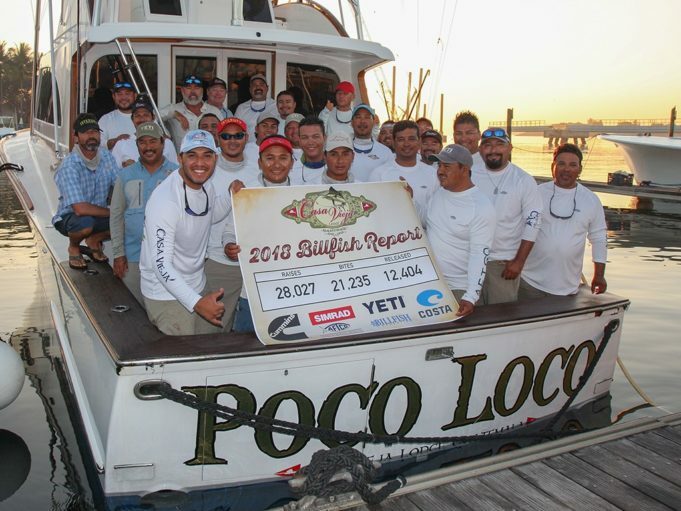 Some boats had topped the 50+ fish mark by 9- to 10-am. The 7X size has been working best although scrambled egg and red crab were said to be the best colors. The boys from El Pescador Fish Market in La Jolla came down to bend and hang out for a couple days. We started the morning off with hot breakfast burritos along with a double hookup on the yoyo! Water was 61 to 63 and a very clean blue. 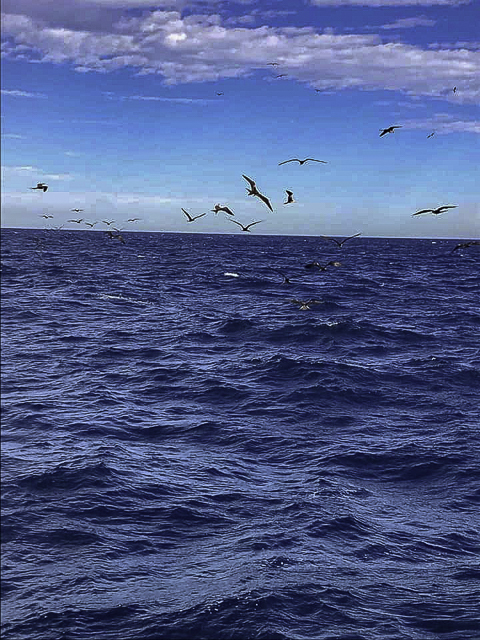 Winds were offshore from 6- to 8 knots. According to the census, there have been a total of 74 whales counted so far. The observation season of gray whale (Eschrichtius robustus), in the Biosphere Reserve (RB) El Vizcaíno located in Baja California Sur, began on December 15. So far, 21 offspring, 21 mothers and 32 solitary whales have been observed in Laguna Ojo de Liebre, to give a total of 74 specimens. 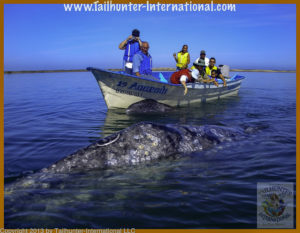 In San Ignacio Lagoon, 5 solitary whales were observed, giving a total of 79 individuals. Nice two days of fishing! Deadhead lure was the best iron of the day. Midday I was driving along the Malecon and in a current line about 200 yards offshore was a string of 500 birds diving into a frenzy of slashing jacks. The fish were eating AND the birds were eating, all along the edge of green-blue water where it met the brown-shallow water. I have no clue as to exactly which bunch of jacks were causing the explosive dining, but roosterfish, toro and yellowtail would be my top guess. beach. After a quick trip to LB, we booked a half-day panga trip with Chuy on the Rude Baby out of Palmas today and bought 10 freshly-caught ballyhoo for bait; literally within one minute, we were fishing this morning as we motored away from Palmas. We caught the first wahoo on crank bait close to back of boat and the second one on chihuil by White Mountain just outside of port toward the East. This is peak season now for whale activity, but there are also sea lion and porpoise being spotted. Ocean water temperature has been holding in the 72- to 75-degree range with good clarity, and clean, blue water within a mile of shore. There were supplies of caballito in the marina area, as well as ballyhoo and slabs of squid. 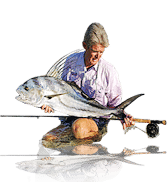 Some charters are catching mackerel, sardineta or chihuil; a bit day to day as to what exact bait are available and which end up working the best. 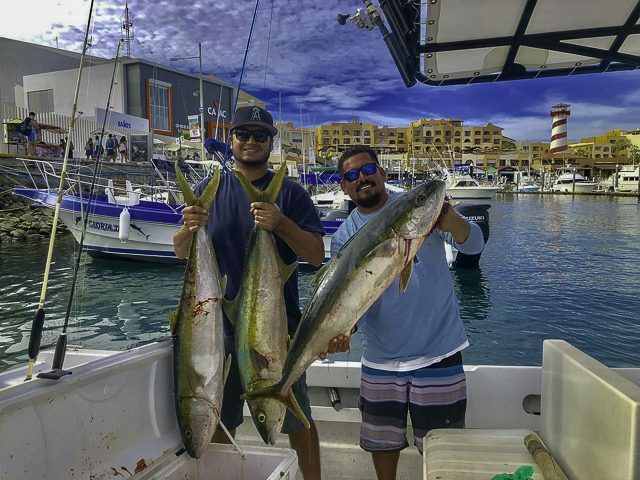 The great action we had the week before for wahoo and dorado faded out this week; it’s hard to say why, as the water conditions are similar — no drastic changes. We are optimistic that these fish are still in the region. 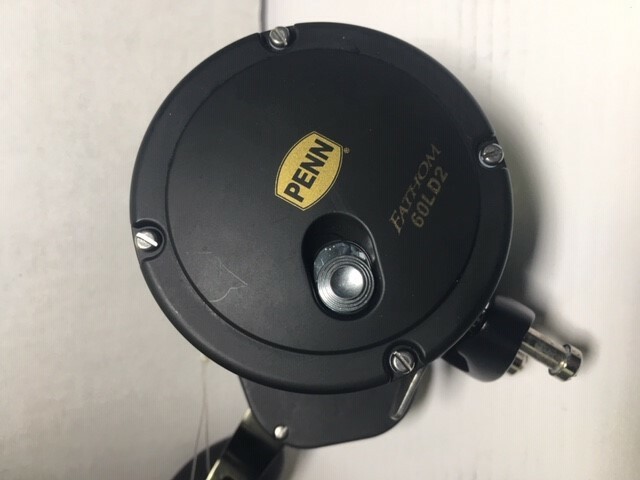 There had been very limited action for yellowfin tuna, but the tuna are starting to be encountered traveling with porpoise with much of this found 25+ miles offshore. Just recently, the yellowfin are becoming active on the Inner Gordo Banks. This bite had become a late afternoon local commercial deal, hooking tuna only late in the afternoon, and returning to the docks in the dark. 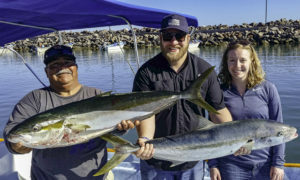 There was a 200-pound yellowfin brought in earlier in the week along with other fish of 150-pounds or more. 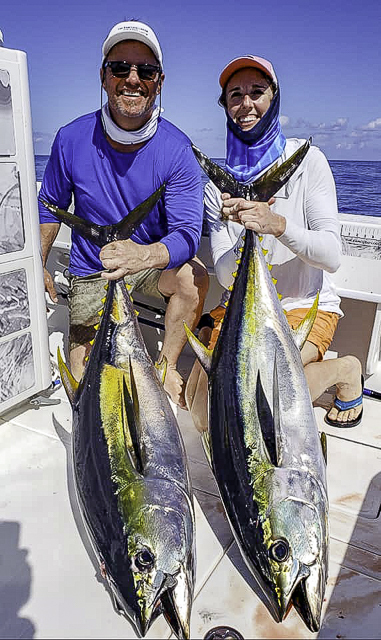 These yellowfin are now finally striking in the morning as well, and drift-fishing with squid has been the main things these fish have been striking consistently on. Most of them are weighing in the 30- to 90-pound class, but there are tuna much larger on these same grounds now. 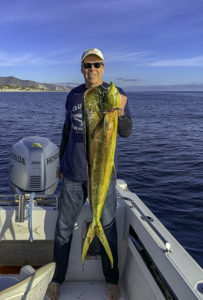 No huge numbers are being brought in, but there is a fair chance now at catching one or two; at least we are seeing yellowfin again, especially since the wahoo and dorado action came to a standstill. 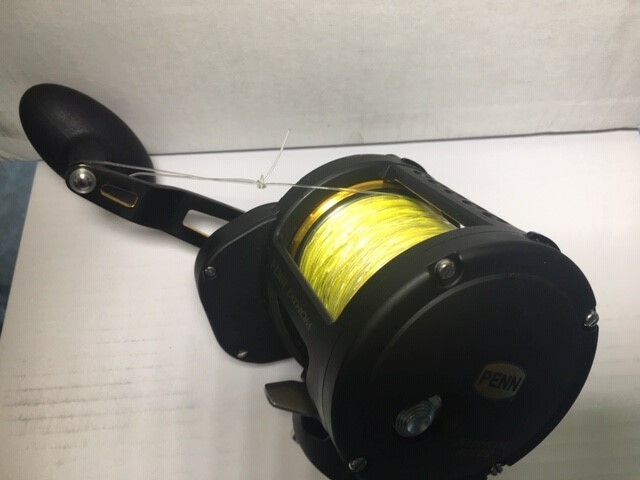 Besides looking for these tuna, the main bite being targeted are the Eastern Pacific bonito off of La Fortuna which are striking readily on jigs, Rapalas, hoochies, etc.. Good action on light tackle, ranging from 4- to 8-pounds plus they are good eating as well — different than the California bonito. A few pargo, red snapper, cabrilla, and amberjack, but no large numbers; there are more triggerfish off the bottom structure than anything else. 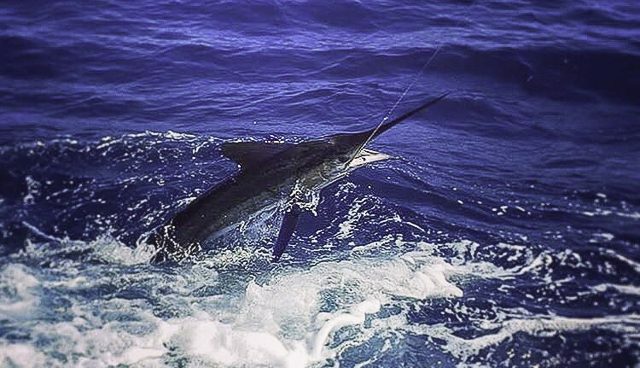 Striped marlin has been on and off of San Jose del Cabo, but there is still a better chance south, closer to Cabo San Lucas. As more baitfish move in the direction of the Sea of Cortez, then we will see the marlin more prevalent. 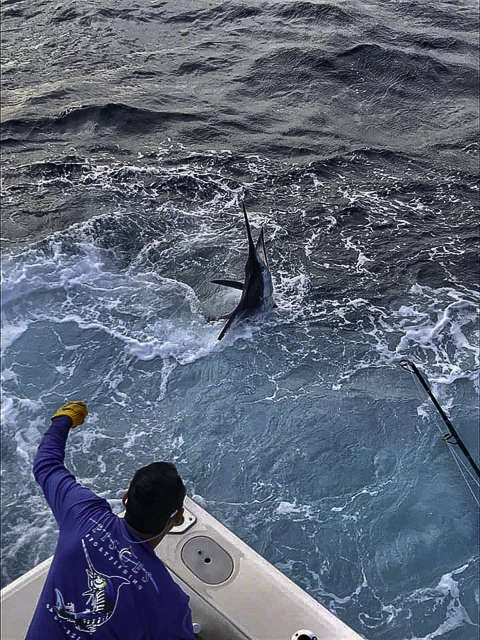 Numbers at a glance: Billfish 56%, tuna 44%, dorado 4%, other species 5%. 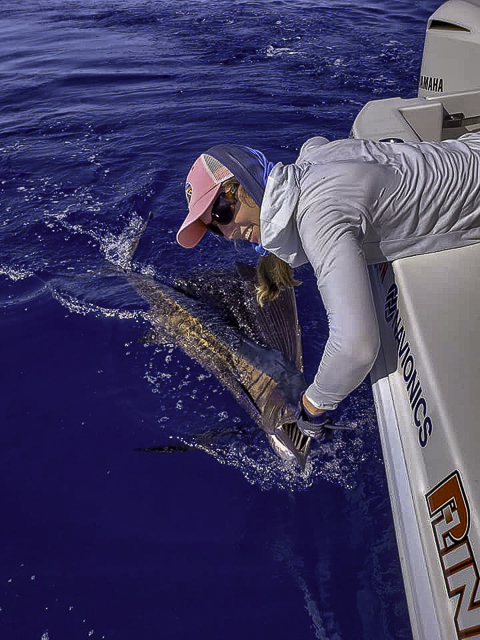 as the catches are still in the double-digits up there — on average 15 marlin per boat — with especially good days looking at almost 30 stripeys each. Cabo Climate: The weather was very pleasant this past week with a mix of mostly sunny to partly cloudy skies; the good news is the forecast is for average daytime temps in the upper 70s and evenings in the low to mid 60s with mostly sunny to partly cloudy skies with very little chance of rain forecast through the end of January into early February. Winds are expected in the gentle 7- to 10-mph range through the end of the month, mostly out of the WSW. Humidity is expected to run in the low 60s to low 70s through the end of the month. Sea Conditions: Seas have been relatively calm in the mornings throughout the area with some swells and chop showing up in the afternoons as breezes increase. Forecast is for more of the same. Sea temps have stabilized and running from 77-79 (Pacific) and into the 77-78 range on the inside around Gordo. Best Fishing Areas: The hot spots have remained to the west and north. The Lighthouse area was clearly the hot spot this past week. Most of the fish were being found 1 to 8 miles out from shore. The yellowfin are from 25 to 30 miles out to the SW near the 110 or 180 Spots. 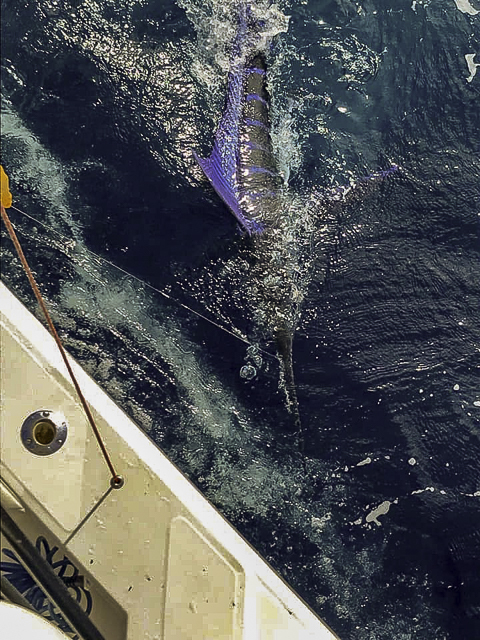 For those willing to make the longer 50 mile run, the Finger Bank has continued producing double-digit striped marlin counts with a few boats reporting over 20 fish per day. Traffic is light there competing for the large numbers of migrating marlin. 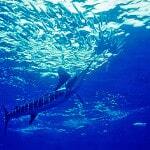 Favorite Bait: Trolled blue/green smoke trail lures along with live mackerel were the favorite for the marlin. Soaking live bait around the Finger Bank produced successful multiple striper counts. Drifting live mackerel around the Lighthouse was also very productive. Everything seemed to work for the dorado from trolled lures to drifted baits. Hoochies were by far the preferred and most productive lures for the sierra. 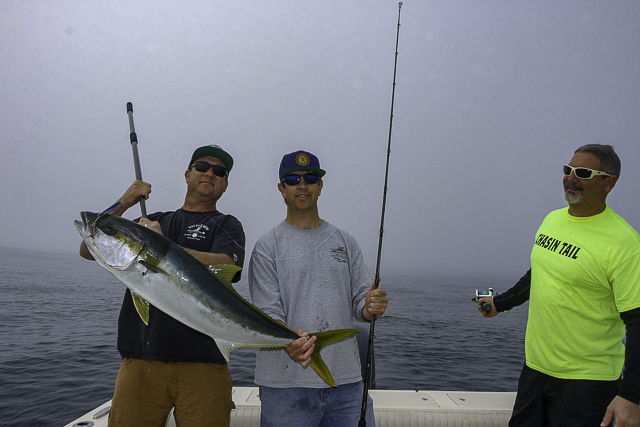 Trolled feathers and cedar plugs were the ticket for the yellowfin. Bait Supply: Live bait is available at the $3.00 per bait upon exit from the harbor. Mackerel, when available, are popular with the captains. 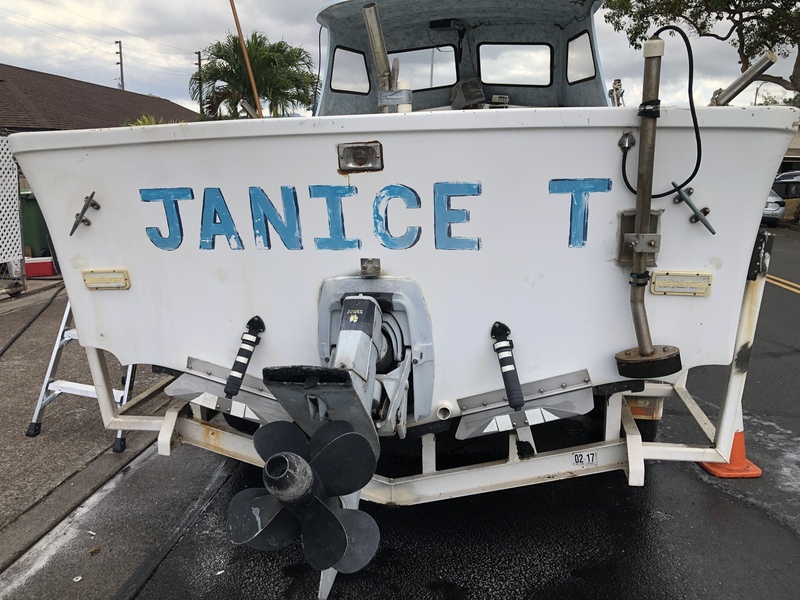 Charter of one – what a die-hard fisherwoman she is! Two and one-half hours on the bank today! 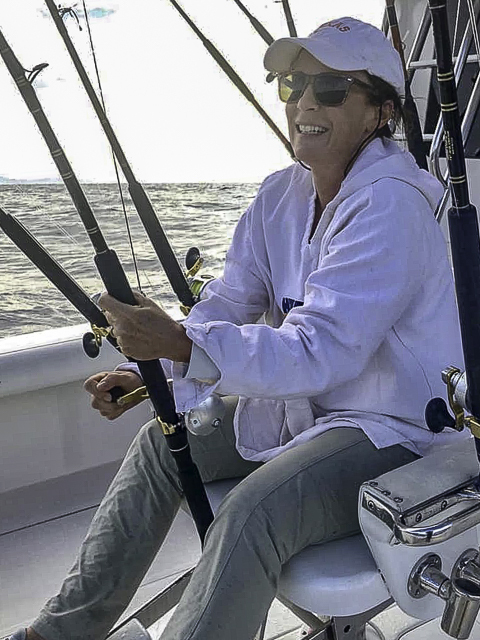 She released 17 striped marlin and called it a day. 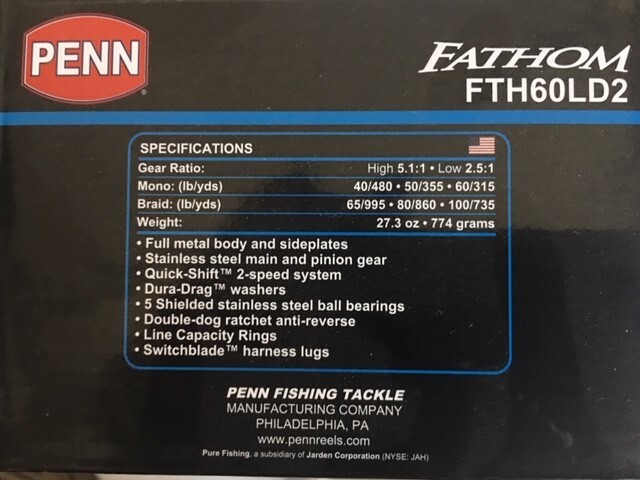 We have the best fishing captain! 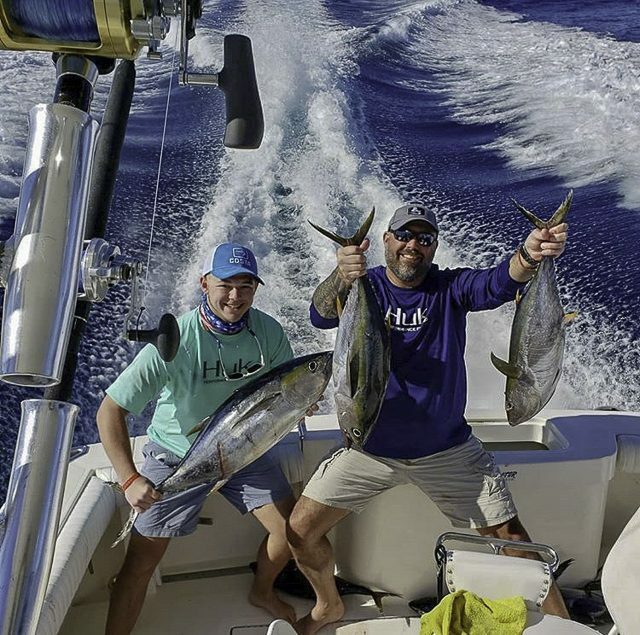 Chollo found the spinner dolphin and tuna early today and called in some other boats for non-stop fishing action all day long! It was all yellowfin tuna today, plus one sailfish, for our group. to announce grand total of 28,027 Raises, 21,235 Bites, 12,404 Releases.